Here is the list of the hotels near Couloutre. Book your hotel near Couloutre today, Friday 10 May for the best price, reservation and cancellation free of charge thanks to our partner Booking.com, leader in on-line hotels reservation. Below here is the list the 50 closest hotels of Couloutre, sortable according your criteria. You will find the position of these accommodations on the Couloutre hotels map. Guest accommodation Thury Preferred hotel ! Located in Thury, this holiday home features an outdoor heated pool and several terraces. 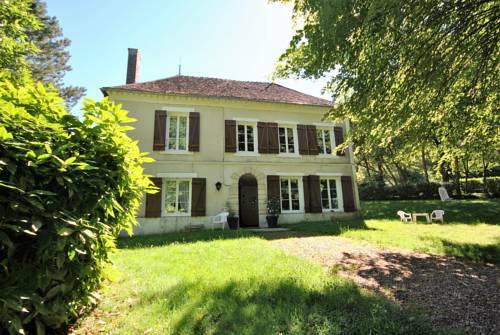 The property is 40-minute drive to Auxerre and free private parking is offered. Free WiFi is featured throughout the property. The kitchen features a dishwasher, an oven and a microwave, as well as a coffee machine and a kettle. A flat-screen TV is available. Toucy is a 25-minute drive from vakantiewoning Thury, while Chablis is 45 km away from the property. Paris is a 2-hour drive from the property. Gite des Belles Fontaines is situated in Druyes-les-Belles-Fontaines. There is a fully equipped private bathroom with shower and free toiletries. Guests at the bed and breakfast can enjoy a continental breakfast. Guests can also relax in the garden. Auxerre is 33 km from Gite des Belles Fontaines, while Vézelay is 44 km away. Featuring a barbecue, Gite en Forterre is a detached holiday home situated in Druyes-les-Belles-Fontaines. The area is popular for the Château de Guédelon located 25 km away from the gite. Free private parking is provided. Free WiFi is available . The kitchen is equipped with an oven, a microwave and a toaster, as well as a coffee machine and a kettle. A flat-screen TV is offered. Other facilities at Gite en Forterre include a sun terrace. Avallon is 40 km from Gite en Forterre, while Chablis is 41 km from the property. The property is 29 km from Auxerre. Offering city views, lepiver in Andryes provides accommodation and barbecue facilities. Free WiFi is provided. Fitted with a terrace, the units feature a flat-screen TV and a private bathroom with free toiletries. A continental breakfast is served every morning at the property. Cycling can be enjoyed nearby. Auxerre is 38 km from the bed and breakfast, while Vézelay is 33 km from the property. Below here is the hotels map of Couloutre. Names and details of Couloutre hotels can be shown on the map clicking on the prices icons.